He was in it for the long-run from Day One. 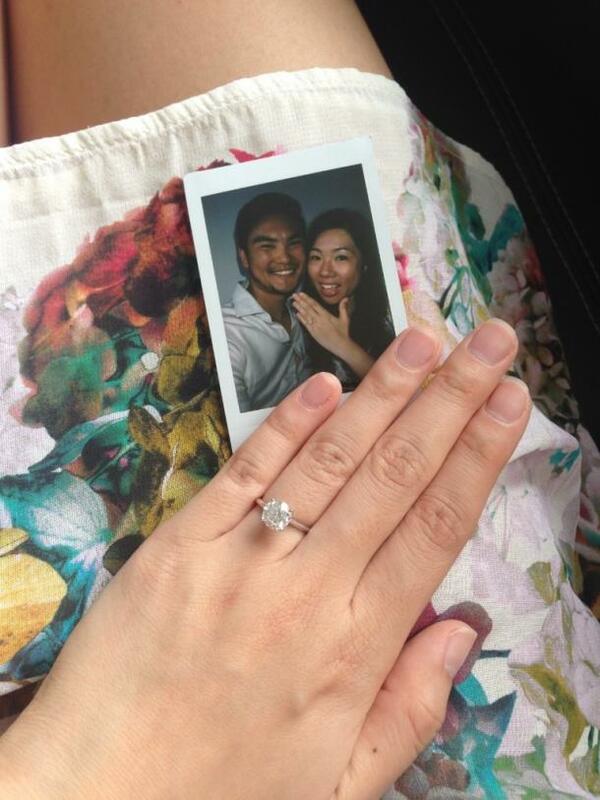 Ready for a pretty amazing proposal story? THEN HOLD ON TO YOUR BUTTS 'CAUSE WHAT WE GOT HERE IS A WHOPPER. Timothy Chee knew just one week after he started dating his now-wife Candice Catherine that he wanted to build a life with her, so he proposed. But he didn't just straight up say it. The two loved to write each other letters, even though they didn't live far apart. The practice of getting something sweet in the mail from their honey was something they liked to do. 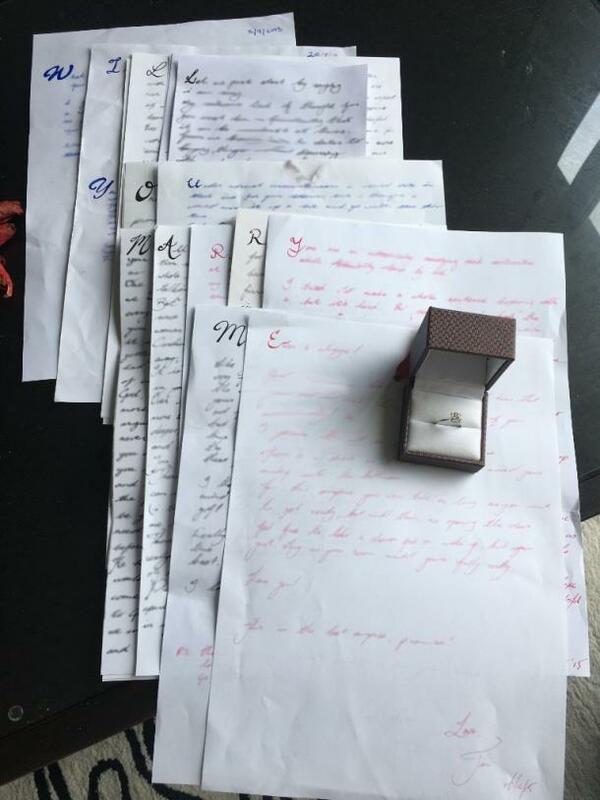 Over the span of three years, Timothy used those letters to propose to Candice, starting off each piece of a correspondence with a different letter until, once they were all together, they revealed a secret code that said: Will you marry me? Needless to say, Candice said yes (BECAUSE HOW COULD YOU NOT) and now the entire internet is celebrating their love because that's a much nicer than to do than burn them both in a fire for being so damned cute. I will fully admit to being a bitter old jaded broad. For example, my boyfriend tried to buy me roses for Valentine's Day this year and I insisted that he buy me nettles instead. Nettles, you guys, like a plant Eyore the goddamn donkey enjoys. I guess it's not so much that I'm jaded as that I am skeptical of overtly romantic gestures. Because it is so, so, so easy to buy a woman a box of chocolates or a nice dinner, but it's a hell of a lot less easy to do the real work that builds and sustains a relationship over the long haul. I would happily go a lifetime without romance if it meant knowing I was in a relationship with a person who was just as invested in our relationship as I was. All of that said, this here romantic gesture is one I get behind, and here's why: Timothy was invested in Candace from go. He knew that he was going to marry her. He knew there was no rush, and that they had the rest of their lives to spend together, and his slow build up to an eventual proposal made sense for who they were as a couple. This romantic gesture doesn't ring hollow because it isn't hollow. It's a demonstration of Timothy's sure feelings for Candace, and her finally realizing what he was doing over the course of all of those letters isn't some meaningless box of chocolates, it's a testimony to the special bond between the two of them.